When Should I Use Amazon Aurora and When Should I use RDS MySQL? — As a MySQL user, you can use both Aurora and RDS in a similar way, but they have different pros and cons. Aurora is proprietary and fast, but RDS gives you more flexibility if you need a specific MySQL version, etc. New Whitepaper: Disaster Recovery for MySQL & MariaDB — Database outages are almost inevitable and understanding the timeline of an outage can help you better prepare, diagnose and recover from one. 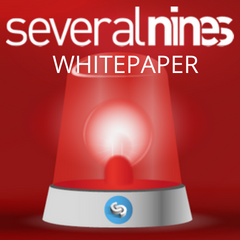 In this whitepaper, learn how to keep your systems online and handle outages when they occur. Inside Fortnite's Massive Data Analytics Pipeline — Fortnite is a wildly popular (125 million players!) multiplayer game and pulling together all the data to keep it running is no small feat. R Generation: The Story of the R Language — R is a statistical computing language and environment that’s very popular in the data science and business intelligence worlds. If this article encourages you to give R a go, you could do worse than this introductory tutorial. Amazon ElastiCache for Redis Now PCI DSS Compliant — So now you can use ElastiCache for Redis for the processing of sensitive payment card data. Build a Bikesharing App with Redis and Python — Leans on Redis’s geospatial commands that were introduced back with 3.2. The Future of Storage: Hardware — Fuelled by massive growth in data creation and analysis, the state of data storage hardware is evolving at a considerable rate at the moment - here’s a roundup of some of the technologies involved. ▶ Modernizing Mission-Critical Apps with SQL Server — Digs into a lot of the latest SQL Server performance features. ▶ Scaling Postgres: A Weekly Video Series — Experienced DBA Creston Jamison produces practical, weekly videos on working with Postgres. HugeGraph: A Fast, Scalable Graph Database — Can be queried using Gremlin, integrates with Hadoop/Spark. Built in Java.